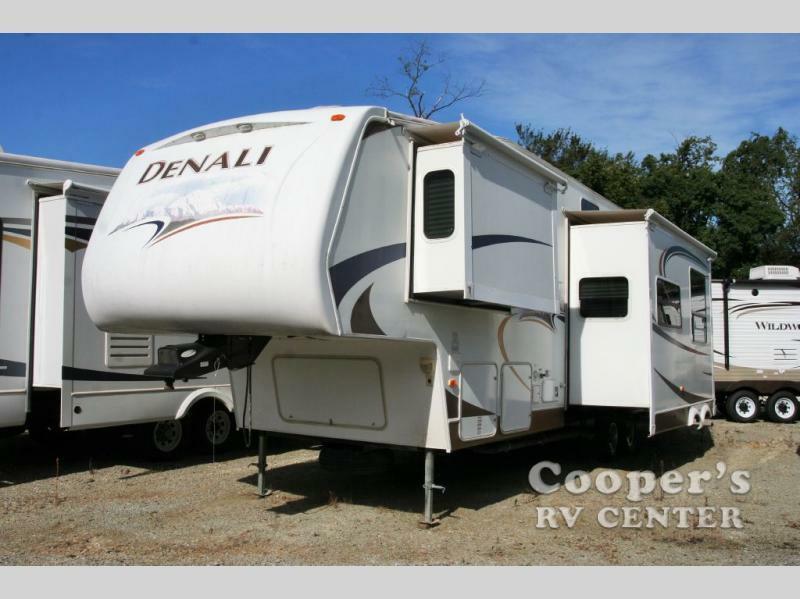 2013 Dutchmen RV Denali 274REX, Dutchmen Denali Fifth Wheel w/Full Wall Ent. 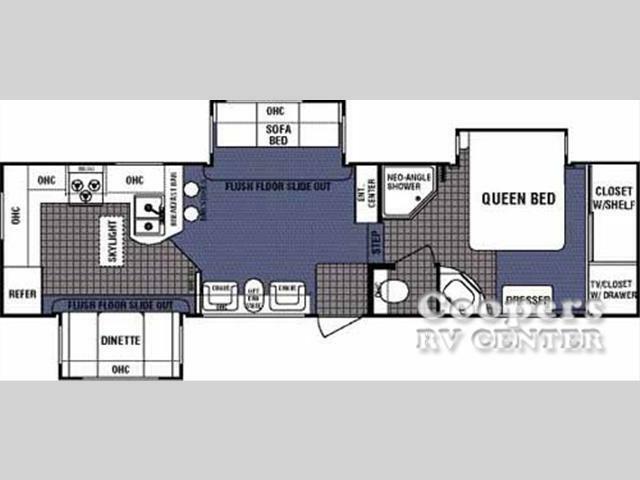 Center w/LCD Lift TV, Overhead Cabinets, Slideout Oversized U-Dinette, Air Mattress Sofa, Pantry & Refrigerator Slideout, 3 Burner Range, Dbl. Kitchen Sink, Overhead Storage, 2nd Pantry, Step Up to Side Aisle Bath w/Neo-Angle Shower w/Skylight, Toilet, Sink & Linen Cabinet, Front Queen Bed w/Wardrobe Slide, Shirt Closet Above Nightstand, 2nd Closet & Much More! 2015 Dutchmen RV Denali Lite 2461RK, This Denali Lite travel trailer model 2461RK by Dutchmen features a rear kitchen layout, dual entry doors, and a slide out with an oversized u-shaped dinette.Step inside the rear side entry door and find yourself in the Lite Edition kitchen which features a refrigerator, three burner range with microwave oven above, and double kitchen sink with overhead storage and counter space. There is an oversized u-shaped dinette and wardrobe/pantry slide opposite the door side. The dinette features ample space for everyone to enjoy meal times or just hanging out. 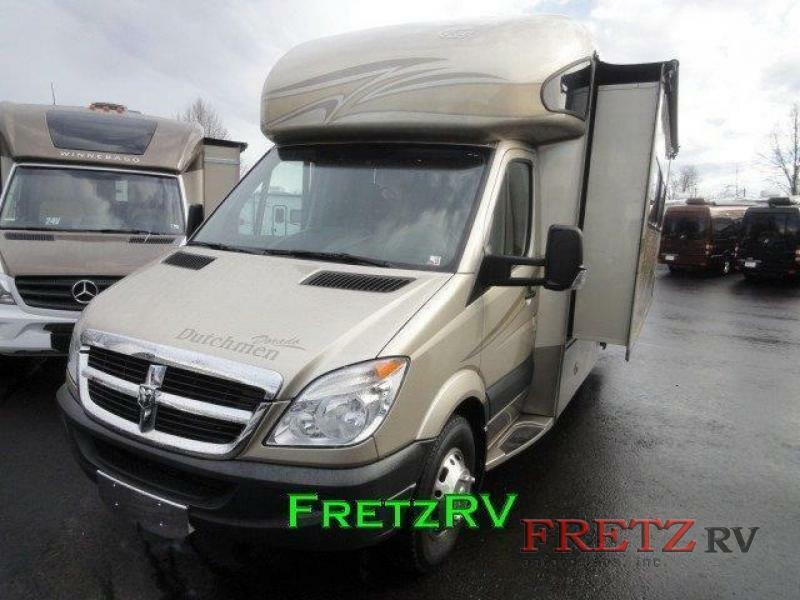 There is a 72" sofa on the opposite side with optional 32" LCD TV, radio, and overhead storage also. The sofa can be made into additional sleeping space if needed.The bath features dual entry doors so it can be accessed from the living area or from within the front private bedroom. The bath features an angled shower, toilet, sink, and linen cabinet. There is also a second linen cabinet in the hall along the outer wall. The front bedroom features a queen bed with a private entry. There are closets on either side of the bed with the right side featuring a shirt closet also. There is additional storage above the bed. An optional bedroom TV can be added if you choose, and so much more! 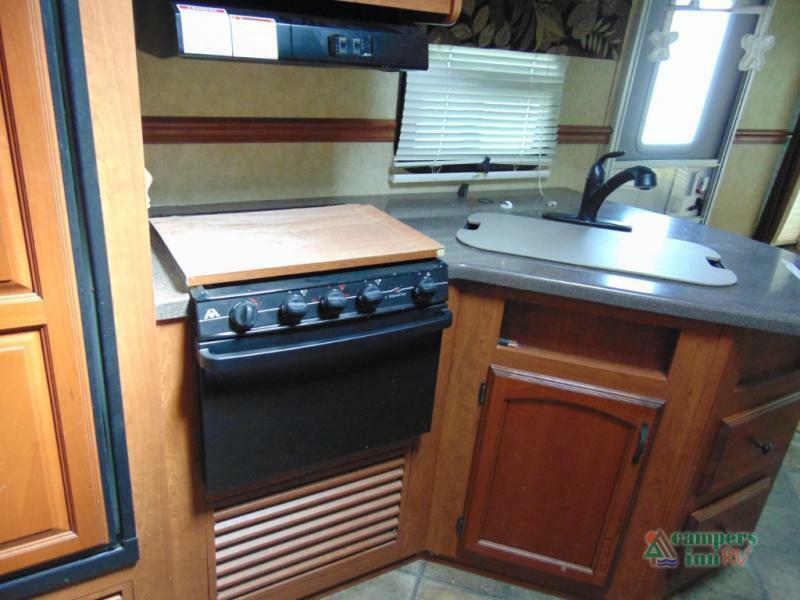 2007 Dutchmen RV Classic 30S-DSL, Double Slide, Oversized Bunk Beds, Sit-n-Play Sofa/Bed Optional, TV Desk w/Flip-Up Counter and Bar Stools, Tub/Shower, Linen Closet, Pantry, Double Kitchen Sink, 3 Burner Range, Counter Extension, Sofa Bed, Dinette Plus, Queen Bed w/Nightstands, Ent. Center, and More. 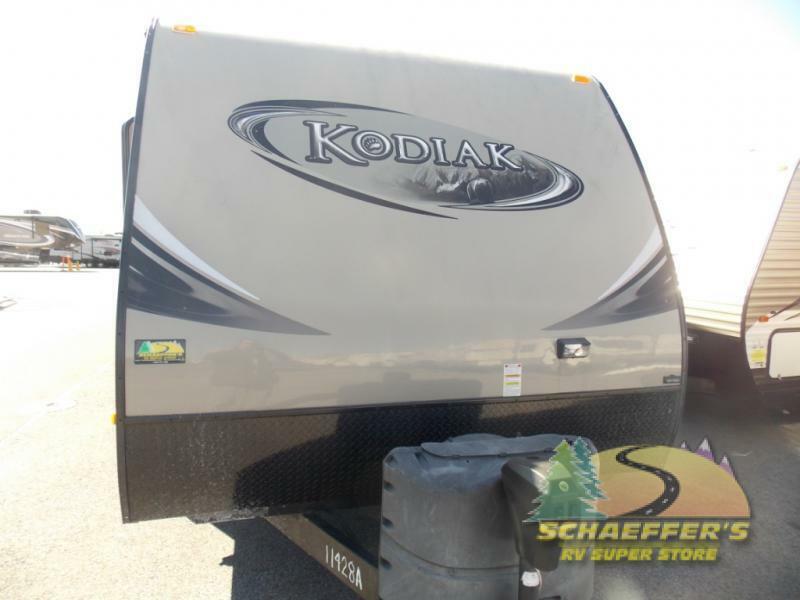 2012 Dutchmen RV Kodiak 284BHSL, Call for details. 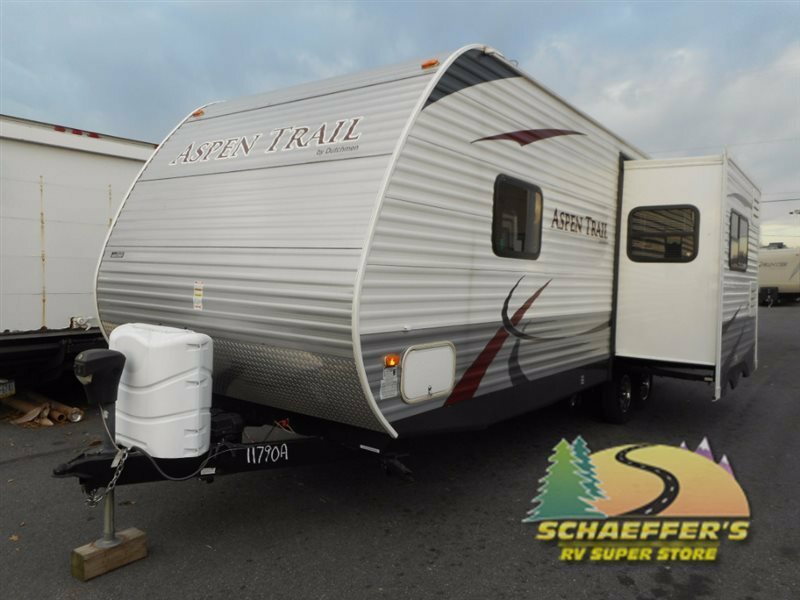 2013 Dutchmen RV Denali 266RL, Dutchmen Denali West Coast Travel Trailer w/Rear Living Area Including: 2 Lounge Chairs, End Table Between & Overhead Storage Cabinets, Slideout Air Mattress Sofa & Oversized U-Shaped Dinette w/Storage Above Sofa, Ent. Center, Dbl. Kitchen Sink, 3 Burner Range, Refrig., & Linen Cabinet, Side Aisle Bath w/Neo-Angle Shower Including Skylight, Sink, Toilet w/Overhead Storage, Linen/Wardrobe Slideout, Queen Bed w/Closets Both Sides of Bed, Front & Rear Entrances & Much More! 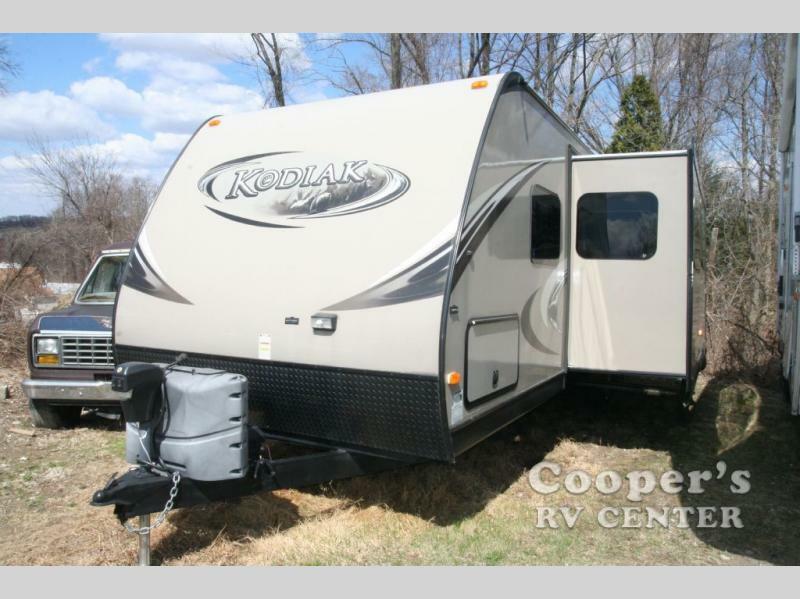 2008 Dutchmen RV Kodiak 279RB, Call for details. 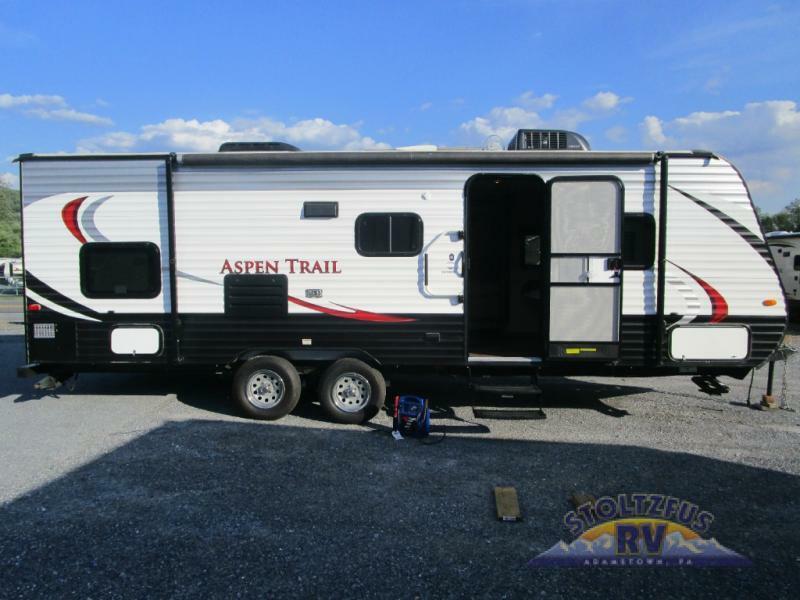 2014 Dutchmen RV Aspen 2470BHS, This Aspen Trail Mini 2470BHS by Dutchmen has the space and amenities you need and want to enjoy each camping trip to the fullest. Step inside and see how open it feels when the large slide-out dinette and 62" sofa are fully extended. There are kitchen amenities opposite the slide and feature a refrigerator, 2 burner cook-top, sink, and counter top with overhead microwave oven. There is also a TV above a pantry off to the side of the dinette which can easily be viewed by any seating in the room. The queen bed up front features shirt closets on either side of the bed, plus there are overhead cabinets for more storage also. The rear of this Aspen Trail 2470BHS features a bunk house that the kids will enjoy, plus a corner bath with 36" shower and toilet, and so much more! 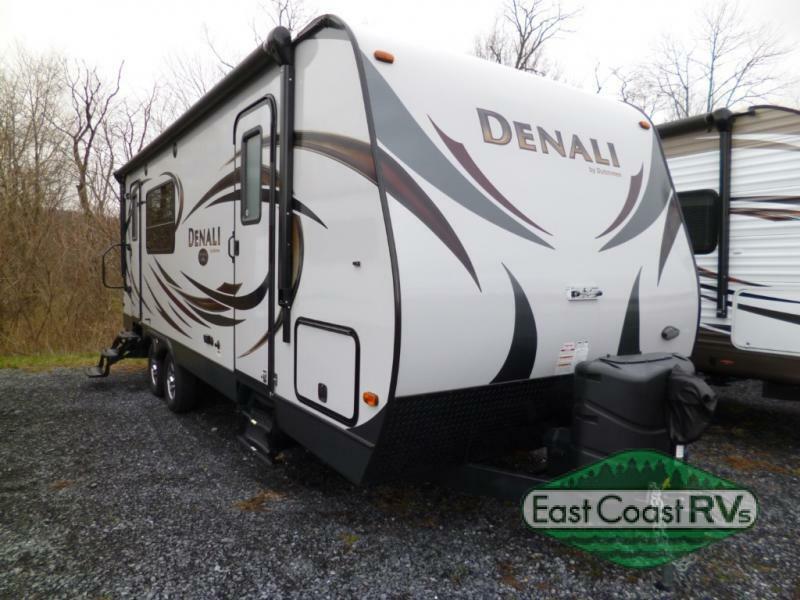 2009 Dutchmen RV Denali 331RS-M5, Triple Slide Denali FW -Rear Raised Desk Ultra Lounge-U-Sofa & Table-Dinette Plus & Hide-A-Bed Sofa-LCD TV in Living Room and in Kitchen-Dbl. Kitchen Sink-Kitchen Island w/Stools-3 Burner Range & Refrigerator Slideout-Step Up to Bed & Bath w/Neo-Angle Shower-Comfort Plus Queen Bed Slideout-And Much More!!!! 2012 Dutchmen RV Kodiak 290BHSL, Kodiak Bunkhouse by Dutchmen-Rear Bunk Beds-Outdoor Kitchen w/Refrigerator-Sink & Cabinets-Cook Top-TV Between Bunks-Pantry-Oversized U-Shaped Dinette-Jack Knife Sofa Slide-Skylight-Entertainment Center-Bath w/Toilet-Linen Cabinet-Refrigerator-3 Burner Range w/Microwave-Dbl. Kitchen Sink-Front Queen Bed w/Wardrobes-And Much More! 2006 Dutchmen RV Aerolite 195 Cub Travel Trailer, Call for details. 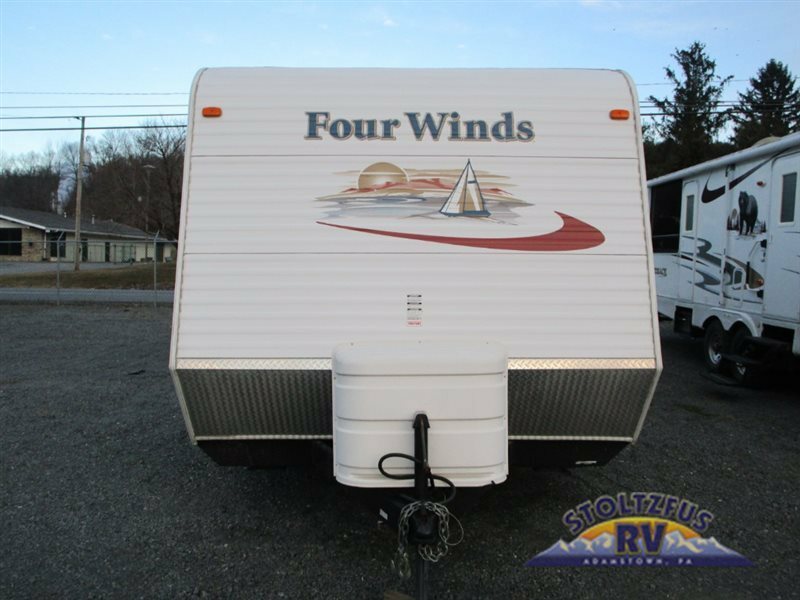 2008 Dutchmen RV Four Winds 29Q, Call for details. 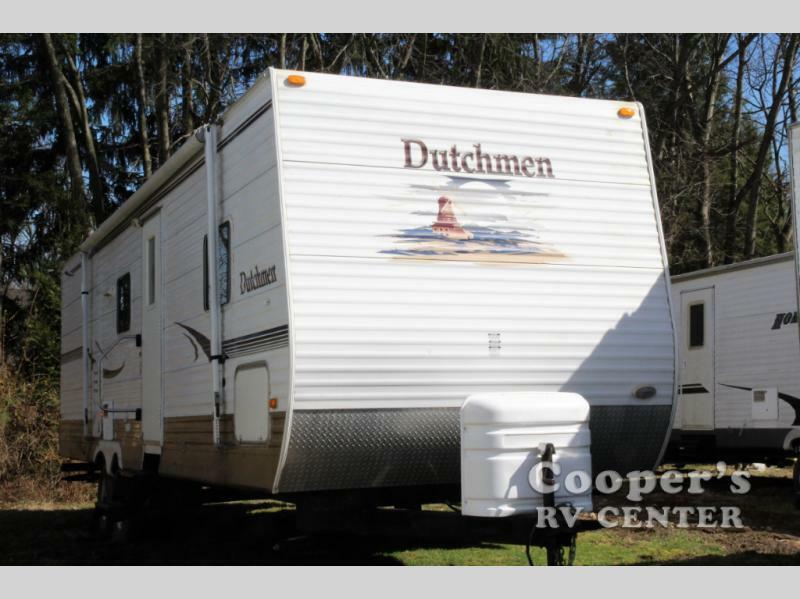 2007 Dutchmen RV Lite 28G-GS, Single Slide, Rear Corner Bunk w/Lower Double Bed, Shirt Closet, Rear Corner Bath w/Tub, Lav., 3 Burner Range, Double Kitchen Sink, Sofa Bed, Booth Dinette, Counter Area w/Stools, Refrigerator, TV Cabinet, Front Queen Bed w/Storage Plus, TV Tray, Nightstands w/Shirt Closets Above and More.